Greco House", with its traditional Greek architecture, brings the warm Mediterranean breezes of Greece to Udaipur, India. Greco House is situated in a romantic area on the corner of Lal Ghat in the heart of the old city. Our rooms are bright, clean and quiet. 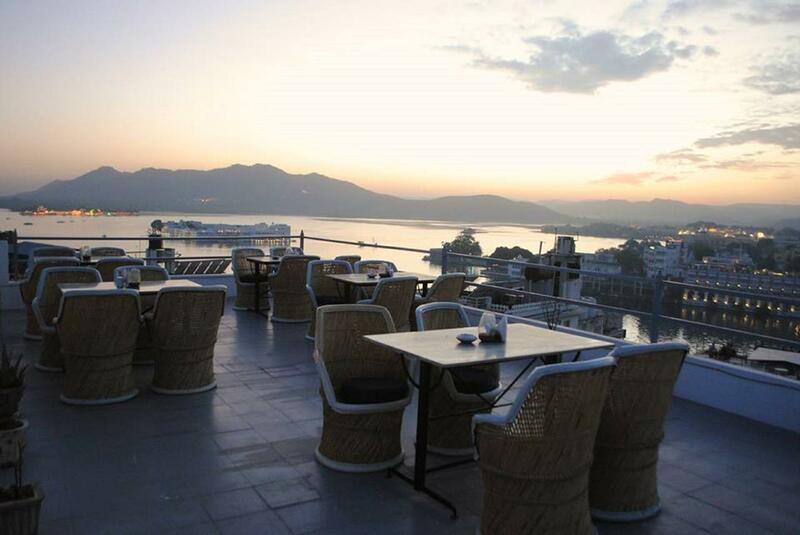 Our open air rooftop restaurant boasts stunning views of the Lake Pichola, City Palace, Monsoon Palace, Karni Mata temple and the quintessentially Rajasthani Aravali mountain range. Its the perfect location for a 360 degree sunset view of the city. The restaurant serves delicious Indian and Continental cuisine for breakfast, lunch and dinner. Currency Exchange, Front Desk, Disabled Facilities, Laundry Facilities, Internet/Wi-Fi, Travel Counter, Family/Child Friendly, Breakfast Services, Parking, Safe Deposit Box-Front Desk. Complimentary Newspaper, Attached Bathroom, H/C Water, Reading Lamps, Complimentary Toiletries, House Keeping, Safe Deposit Locker Facility, Daily Room Cleaning, Cable/Satellite TV, Iron/Ironing Board. User reviews for "Greco House Udaipur"